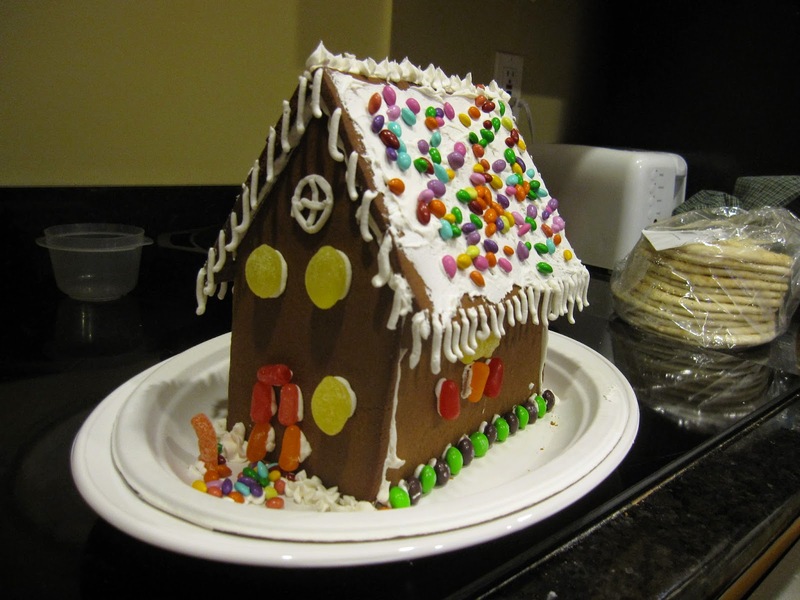 Last year we decided to do a gingerbread house for the New Year since it's such a boring holiday and there are always lots of other things to do around Christmas. I learned from last year and made sure to cook our house pieces until they looked almost burned this year so they would stay nice and crisp. And, although the royal icing worked fine last year, this year I decided to make it in smaller batches so it would work even better (last year I made one big batch and it just doesn't store well so was a bit runny by the time we actually decorated the house). 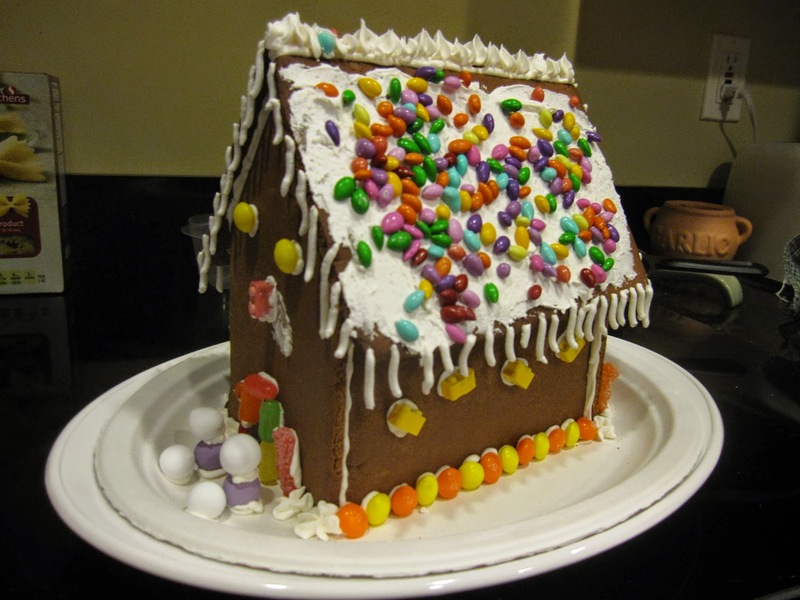 The boys actually helped me do this half of the roof and I think their side looks better than mine - they care less about if they're making a mess in the process and were totally willing to just toss the candies on, so ended up with better coverage. And I made an attempt at icicles this year. Not a good one, but an attempt. Malcolm wanted to destroy and eat the houses immediately, so I'm lucky I got these pictures. That kid is a nightmare when he sees candy, so we've had lots of tantrums over the last few days since we won't allow him to eat very much of it. There must be a drinking game out there for "24"-- something where you take a shot every time Jack says, "You're just going to have to trust me!" But I do get a big grin on my face every time he says it, so apparently I'm fine with a high level of kitsch! That looks like a very fun puzzle! I'll have to look for one on my next visit. 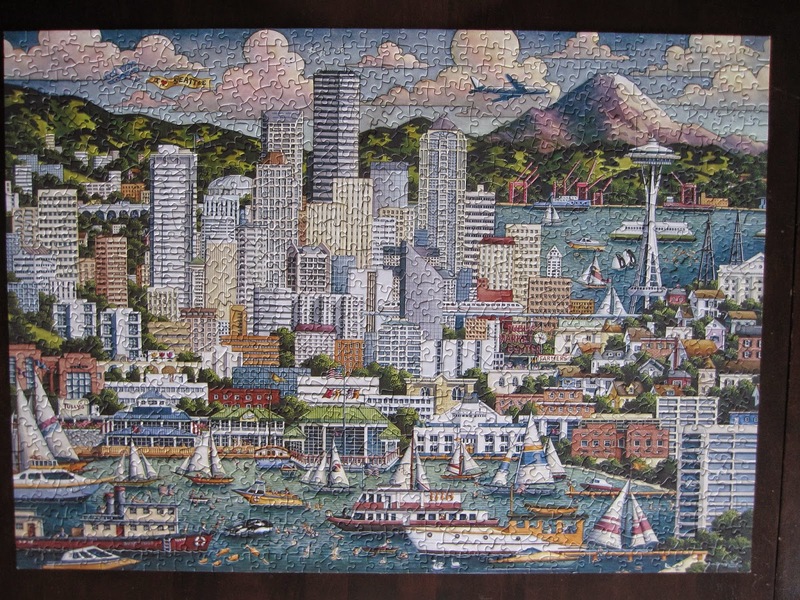 I also love doing puzzles around New Year's.